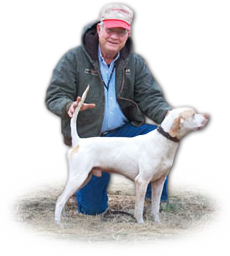 Home » Products » Fly Control Products » Fly Control For Dogs » What are Fly Predators? Fly Predators are the original method of fly control. They are nature's own enemy of all common manure and rotting organic matter breeding pest flies, including the common house fly, horn fly, biting stable fly and lesser house fly. In the natural environment Fly Predators serve as a major check of pest fly populations by destroying the next generation of flies in their immature pupa (cocoon) stage. Most locations likely have some of the species in Fly Predators already, but unless supplemented regularly, they cannot provide the nearly total fly suppression people prefer. Fly Predators are tiny, completely biteless and stingless. They never become a pest themselves. After they've emerged, their single minded pursuit is to reproduce by finding pest fly pupa. Because of their small size and the fact they live their entire life cycle on or near manure (where the pest fly pupare typically found), Fly Predators go virtually unnoticed. Any area where flies breed in manure or decaying organic matter can benefit from using Fly Predators. The key goal is to maintain a sufficient Fly Predator population to stop each succeeding generation of pest flies. Because flies reproduce nine times faster than Fly Predators do, adding supplemental Fly Predators every three to four weeks during warm months keeps the population balance necessary for good fly control. You must release enough Fly Predators to control all the fly reproduction in the area. You treat the farm and kennel not the animal. The species used in our Fly Predators brand beneficial insects have been proven effective by both scientific tests and from decades of actual usage. 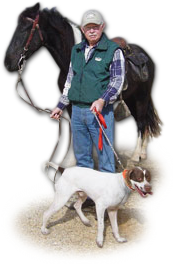 Our satisfied customers include the county's largest kennel facilities down to backyard pet owners as well as dairies, poultry farms, zoos, feedlots, show and rodeo grounds, fairs, wastewater treatment facilities and many more. Any location where there are critters producing manure or other rotting organic matter Fly Predators can help keep it pleasantly fly free. One benchmark of performance is our annual “Report Card” sent during the summer to every customer. We ask them to give their Fly Predators a “grade” (A to F) on how good a job they were doing for fly control. From decades of selling Fly Predators and getting renewal rates of up to 80%, we know that they work great for most folks. Last year was similar with 83% of those responding reporting no flies (an A) to better than before using Fly Predators (a C) with A's and B's being the majority. Considering that the benchmark for Fly Predators was the control of flies over the entire property from a once a month application costing about $2 per animal, what grade would you give your fly control purchases last year? The small percentage of folks with poor results were called and almost always we could determine the problem. After suggesting corrective action and checking back later, in most cases their results improved, sometimes dramatically. And the majority of those customers ordered the next year. We can't solve every location's fly problem, but we get close.